The winter weather can impair your visibility when you are driving. The ice, snow, frost, and sleet can cause issues in the long run. It can start to build up and result in difficult seeing as you drive. Before you drive, make sure to start your vehicle. 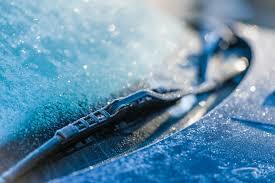 Turn on the vehicle’s defrost to help warm up the inside of the windshield. Doing so will also help you to warm up your vehicle. While the defrost is on, you can scrape each of the windows. Remember to scrape the side mirrors and the rear windshield of your vehicle as well. The visibility should always be the best so that you can see. This will help you to be aware of drivers and other people around you. Clearing off all the windows will also help you be aware of anything that is in the ditch or that could run onto the road. You should also be aware of when the windshield or windows start having a build up on them. You will want to pull over where it safe to do so. Make sure to scrape the windows clean or remove the buildup. This will help you to maintain proper visibility. In the winter, your visibility can decrease even when a vehicle passes you. It can blow up snow or slush onto the windshield. If the grime and slush dries quickly, it will leave residue and marks on the windshield that might reduce your visibility. Using the washer fluid and windshield wipers will help to clean the windshield so you can see better. If the wipers make noise or streak marks when they are used, it is recommended that they are replaced. You can also bring the vehicle in and we can check or replace the wipers as well.